Variant: All great historical facts and personages occur, as it were, twice ... the first time as tragedy, the second time as farce. History is not like some individual person, which uses men to achieve its ends. History is nothing but the actions of men in pursuit of their ends. Life is not determined by consciousness, but consciousness by life. We know only a single science, the science of history. History can be contemplated from two sides, it can be divided into the history of nature and the history of mankind. However, the two sides are not to be divided off; as long as men exist the history of nature and the history of men are mutually conditioned. The animal is one with its life activity. It does not distinguish the activity from itself. It is its activity. But man makes his life activity itself an object of his will and consciousness. He has a conscious life activity. It is not a determination with which he is completely identified. To want to renounce the illusions concerning our proper situation implies that we renounce the situation that needs such illusions. The critique of religion demands the critique of the valley of tears of which religion is the aureola... 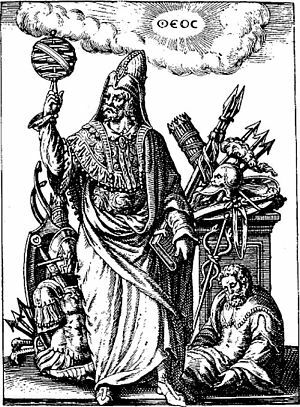 The critique of religion must rid man of his illusions in order that he may think, act and build his reality as a being who has finally become reasonable, in order that his world rotate about himself, that is to say, about only true sun. Religion is merely a illusory sun. In our days everything seems pregnant with its contrary. In like manner, the beginner who has learned a new language always translates it back into his mother tongue, but he assimilates the spirit of the new language and expresses himself freely in it only when he moves in it without recalling the old and when he forgets his native tongue. The philosophers have only interpreted the world in various ways, the point is to change it. Darwin's book is very important and serves me as a basis in natural science for the class struggle in history. One has to put up with the crude English method of development, of course. Despite all deficiencies not only is the death-blow dealt here for the first time to 'teleology' in the natural sciences, but their rational meaning is empirically explained. We must emancipate ourselves before we are able to emancipate others. Ideas do not exist separately from language. The religious world is but the reflex of the real world. The imaginary flowers of religion adorn man's chains. Man must throw off the flowers and also the chains. Universal labour is all scientific labour, all discovery and all invention. In the social production of their life, men enter into definite relations that are indispensable and independent of their will; these relations of production correspond to a definite stage of development of their material forces of production. The sum total of these relations of production constitutes the economic structure of society — the real foundation, on which rises a legal and political superstructure and to which correspond definite forms of social consciousness. The mode of production of material life determines the social, political and intellectual life process in general. It is not the consciousness of men that determines their being, but, on the contrary, their social being that determines their consciousness... Therefore, mankind always sets itself only such tasks as it can solve; since, looking at the matter more closely, we will always find that the task itself arises only when the material conditions necessary for its solution already exist or are at least in the process of formation... This social formation constitutes, therefore, the closing chapter of the prehistoric stage of human society. Every emancipation is a restoration of the human world and of human relationships to a man himself. Communism deprives no man of the ability to appropriate the fruits of his labour. The only thing it deprives him of is the ability to enslave others by means of such appropriations. There is only one antidote to mental suffering. and that is physical pain. All that is solid melts into air, all that is holy is profaned, and man is at last compelled to face with sober senses, his real conditions of life, and his relations with his kind. The past lies like a nightmare upon the present. Religion is, indeed, the self-consciousness and self-esteem of man who has either not yet won through to himself, or has already lost himself again. But man is no abstract being squatting outside the world. Man is the world of man—state, society. This state and this society produce religion, which is an inverted consciousness of the world, because they are an inverted world. Religion is the general theory of this world, its encyclopedic compendium, its logic in popular form, its spiritual point d'honneur, its enthusiasm, its moral sanction, its solemn complement, and its universal basis of consolation and justification. It is the fantastic realization of the human essence since the human essence has not acquired any true reality. The struggle against religion is, therefore, indirectly the struggle against that world whose spiritual aroma is religion. Religious suffering is, at one and the same time, the expression of real suffering and a protest against real suffering. Religion is the sigh of the oppressed creature, the heart of a heartless world, and the soul of soulless conditions. It is the opium of the people. The abolition of religion as the illusory happiness of the people is the demand for their real happiness. To call on them to give up their illusions about their condition is to call on them to give up a condition that requires illusions. The criticism of religion is, therefore, in embryo, the criticism of that vale of tears of which religion is the halo. The productive forces are the result of man’s practical energy, but that energy is in turn circumscribed by the conditions in which man is placed by the productive forces already acquired, by the form of society which exists before him, which he does not create, which is the product of the preceding generation. The first premise of all human history is, of course, the existence of living human individuals. Thus the first fact to be established is the physical organisation of these individuals and their consequent relation to the rest of nature... Men can be distinguished from animals by consciousness, by religion or anything else you like. They themselves begin to distinguish themselves from animals as soon as they begin to produce their means of subsistence, a step which is conditioned by their physical organisation. By producing their means of subsistence men are indirectly producing their actual material life. When Engels and I first joined the secret Communist Society we made it a condition that everything tending to encourage superstitious belief in authority was to be removed from the statutes. What is certain is that I am no Marxist. 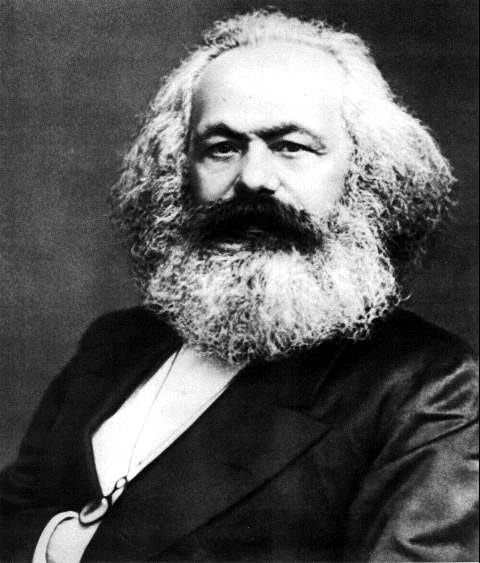 Karl Marx was a German philosopher, sociologist and revolutionary socialist. He developed the political theory known as Marxism. His ideas has had an important role in various political movements.